This is a 15 minute video that includes basic information on how to hit the following tennis strokes: the serve, forehand volley, backhand volley, modern forehand groundstroke, the traditional forehand groundstroke, the one-handed topspin backhand, the two-handed topspin backhand and the slice backhand. This video includes regular speed video, slow-motion video, still shots and diagrams to best explain the basic strokes of tennis. 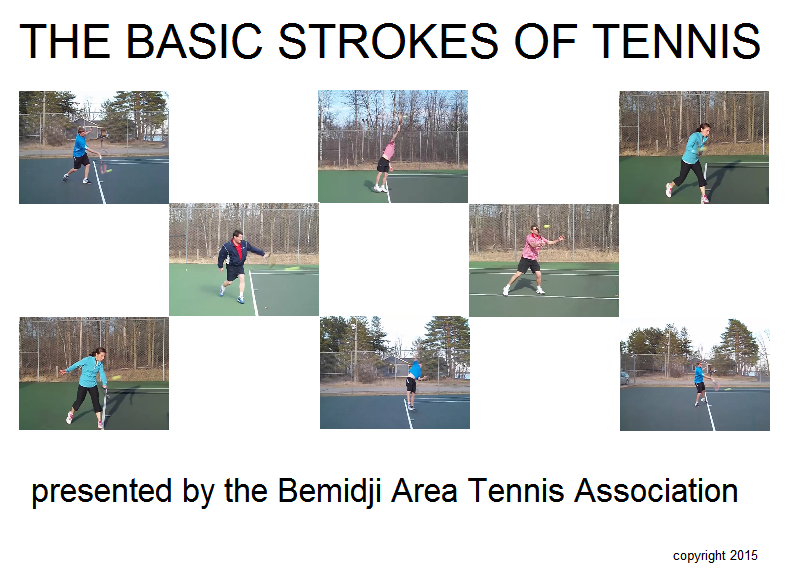 The stroke demonstrations are performed by the certified teaching professionals sponsored by the Bemidji Area Tennis Association (BATA): Jamie Hoffman, John Konecne, Steve Palmer and Paul Swartwood. Receive a copy of this video with your approved 1 year membership application to BATA. 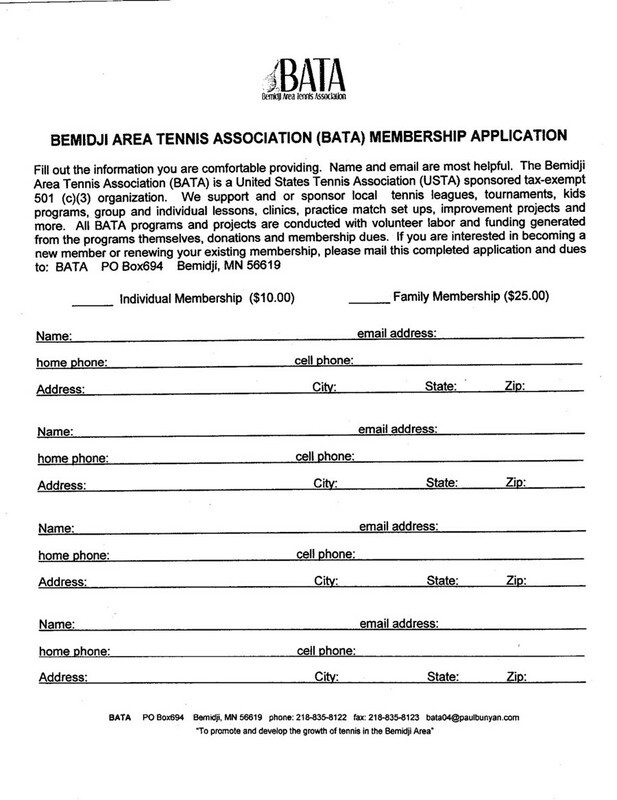 All proceeds go to the BATA indoor tennis facility fund.